Most of the stressed assets have been identified that could fit into the new recovery system, as per the lenders, the idea is to shift the bad loans into a new entity to avoid losses from the NPAs. MUMBAI: After all the trials and tribulations with regulatory tools, bankers and the government are now considering venturing on their own to clear the $210 billion worth of bad loans. On Friday, the Ministry of Finance formed a committee to consider the proposal of setting up an Asset Reconstruction Company (ARC) or an Asset Management Company (AMC) for faster resolution of stressed assets, even as the resolution and recovery process under the newly formed Insolvency and Bankruptcy Code is underway. The idea, lenders say, is to shift bad loans into a new, independent entity so that banks can avoid self-suffocation from stressed assets. “These stressed assets cause loss of value to the banking system,” said Piyush Goyal, the interim finance minister, adding that most of the stressed assets have been identified that could fit into the ARC or AMC structure. He, however, stopped short of disclosing details like funding or the size of bad loans that’ll be absorbed. The member committee headed by PNB chairman Sunil Mehta will submit its report in two weeks. 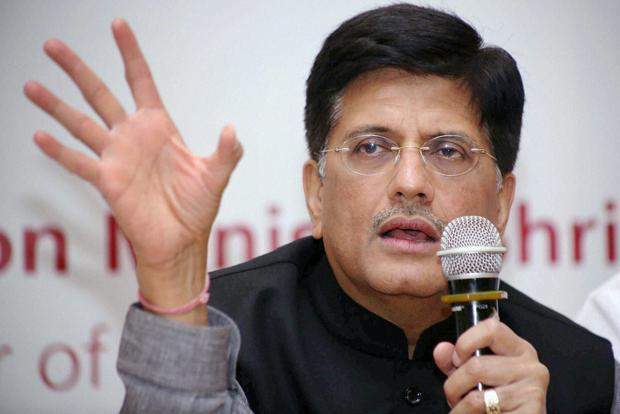 “There should be a true and fair picture and banks have to do an honest appraisal of the balance sheets,” Goyal said. The proposal could be similar to ‘bad bank,’ which was favoured by many including RBI Deputy Governor Viral Acharya and chief economic adviser Arvind Subramanian. Acharya suggested two structures – a private AMC with equity participation from banks and global funds and a National AMC with fiscal support from the government. Despite the government’s board-level presence in ICICI Bank, which is currently under the regulatory lens for alleged corporate governance violations, interim finance minister Piyush Goyal said it was up to the bank’s inquiry committees to look into the allegations and there is no cause of concern for the stakeholders. With regards to its CEO & MD Chanda Kochhar, ‘law of the land will take its course', he added.